How can people be signed into both Skype and Microsoft Messenger at the same time? - Ask Leo! Until the migration from IM to Skype is complete, I think it's likely to see both accounts for many friends. It’s simply that Skype, the program, is logging into the both Skype and Microsoft Messenger at the same time. 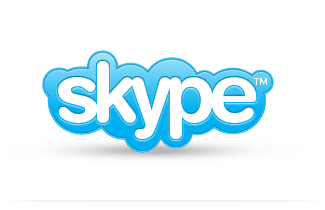 I can sign into Skype using my Skype name (of course) or my Microsoft account name/Hotmail address. I understand all of that but I have a friend who obviously has both accounts and he shows up on my Skype messenger as online using both Skype and Messenger at the same time. How is this possible? How can someone be signed into/as both at the same time? I’m in the same spot that you are. Let me explain what happened. I had a Skype account and a Microsoft account. Skype suggested that I merge the two, so I did. I can log in with my Microsoft account, but several of my friends (who were in the same position) now appear twice: once with their Skype account and once with their Microsoft account. In fact, the capabilities of each connection are ever so slightly different. For example, I can do video with a Skype account (which was its original use), but I can’t necessarily do video with a Microsoft account. All I can really do there is do normal IMing. When you login this way, you’re actually creating two connections because you’re still logging into both services. The only thing that Microsoft has really coalesced at this point is the program that you run. It’s still connecting to both your Skype account and your Microsoft account. Each connection goes to its respective service. When you see a friend who is in that same situation – having both accounts himself – the same thing is happening to them. Their one Skype client is actually making two connections: one to the Skype service and one to the Microsoft Messenger service. You can choose either one to connect to make a conversation. I tend to prefer Skype just because it has been robust for me in the past, but either one will do. Hopefully, you’ll see that almost all of your contacts will have both. If they don’t, just use the one that they have. What I expect is that we’re in a period of transition when it comes to Skype. At some point, the concept of Microsoft Messenger will probably go away completely. In fact, I expect Microsoft to shut down the Messenger servers so that those accounts would simply stop working even if they existed. That would be like the last step in this conversion of all accounts into a single unified Skype account. But, until they finish this migration, I think you’re going to see both accounts for some time. And it’s simply a fact that Skype, the program, is logging into the both Skype the service and Microsoft Messenger, the service. Is there some way I can keep Windows Live Messenger? - The most important thing is to determine which messaging program the people you want to talk to will use. « Previous post: How Do Those Ads Know Where I Live?